Choose 3 mushroom spore syringes from our Psilocybe cubensis spore collection and receive a 15 % discount. Take a pick from more than 23 different Psilocybe cubensis spore strains. All spore syringes contain 20 ml of spore solution. 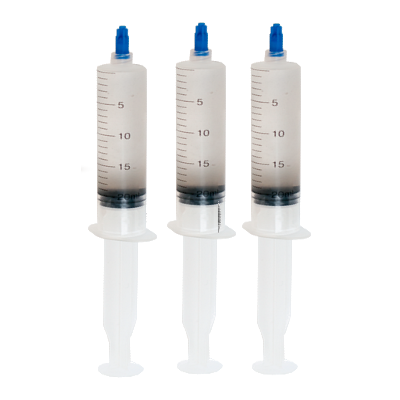 Mushrooms spore syringe discount pack | 3 Psilocybe cubensis spore syringe for a great price. Take the mushroom Spore Syringe with the cap still on it. Hold the syringe with the cap pointing up. Unscrew the the cap from the spore syringe by turning it counter clockwise. Remove the needle from it's sterile package (leave the protection cap on the needle) and attach it to the spore syringe. Before use shake the spore syringe for a few seconds. The spore syringe is now ready for further use. Do not use the Spore Syringe in combination with Liquid Culture! If you want to make a Liquid Culture with the mushroom spores choose the psilocybe cubensis spore vial instead of the spore syringe. Store the Spore Syringes refrigerated between 2*C-8*C Celsius or 35*F-46*F Fahrenheit. Use within 12 months.